Mark Twain defined an expert as "an ordinary fellow from another town." Will Rogers described an expert as "A man fifty miles from home with a briefcase." Danish scientist and Nobel laureate Niels Bohr defined an expert as "A person that has made every possible mistake within his or her field." Using these three definitions, Brent is surely an expert on several things. What those things are may be debatable, but one thing is certain: He knows quite a bit about life insurance and annuities, and how they are used to solve very large financial problems associated with dying too soon, living too long, and the confiscatory taxation and other costs of transferring assets from one generation to the next. Brent is the National Sales Manager for Life Solutions, an independent life insurance brokerage agency and financial consulting firm. With over two decades of experience in the craft of financial advice, Brent is a student of the Austrian School of Economics, and strong proponent of individual freedom and personal responsiblity. His specialty is working with business owners, their key people, and their employees, helping each of them achieve their financial goals in the estate planning and retirement planning areas. 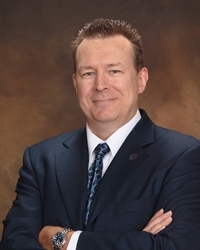 Brent has taught courses on insurance and financial planning through The American College, where he earned financial planning's highest standard, the Chartered Financial Consultant designation, and the life insurance industry's ultimate standard, the Chartered Life Underwriter designation. He earned his Bachelor of Science in Business Administration degree from Kansas State University. Brent has served multiple terms on the Board of Directors for the Society of Financial Service Professionals, has qualified for the Million Dollar Round Table, and earned the Golden Eagle award from the Leading Producer Round Table of the National Association of Health Underwriters. This is the highest award one can earn in the employee benefit business.